What is not well known is that Indian singers have also been hopping across the border to record in Lollywood. The Hindi film playback singing landscape has changed over the years. There are many strands in this change - technology, item songs, multiple music directors in the same film, explosion in the number of singers, lack of any significant differentiation amongst singers (as it existed between Rafi, Kishore, Mukesh, Talat, Manna De, Hemant, Mahendra Kapoor), limited longevity of songs and singers. But what stands out is the sheer number of songs being sung by Pakistani singers. Their songs are very popular. Witness three Pakistani singers being nominated for the 2017 Filmfare Awards - Best Playback Singer (Male) Atif Aslam for "Tere Sang Yara" (Rustom) and Rahat Fateh Ali Khan for "Jag Ghoomeya" (Sultan), and Qurat-ul-Ain Balouch for the Best Playback Singer (Female) for "Kari Kari" (Pink). 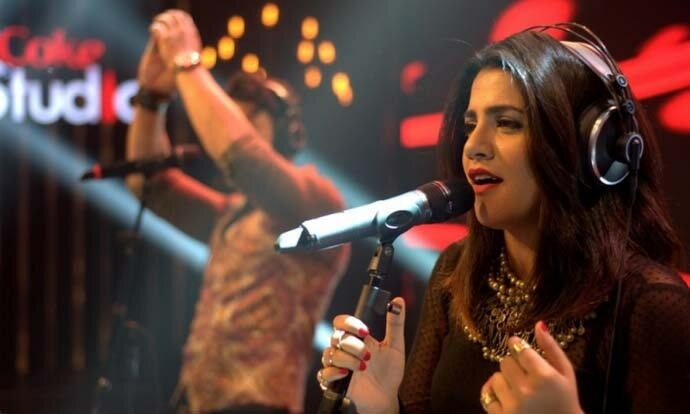 They as well as other singers like Shafqat Amanat Ali and Ali Zafar have been belting out hits after hits. Pakistani singers have been singing in Bollywood for more than four decades now. However, their presence has been more intermittent than sustained as it is presently. The trend started with Runa Laila in the early '70s after the Bangladesh War. Though technically she was a Bangladeshi when she visited India, she had been a front-ranking singer in Pakistan, having won two Nigar Award trophies for Best Female Playback Singer. She brought in exotica and the unknown quotient not hitherto heard in Hindi film music. Ghulam Ali came visiting in the early '80s for concerts. He did not do any playback save the concert-favourite "Chupke Chupke" in Nikaah in 1982, as did the Pakistani actress-singer Salma Agha. In fact, Salma was nominated for Filmfare Best Female Singer for three songs of Nikaah, eventually winning for "Dil Ke Armaan". In the same year, Nazia Hassan, another Pakistani singer, was nominated for her song "Boom Boom" from the movie Star. Nazia had earlier won the Filmfare Award for "Aap Jaisa Koi" from Qurbani (1980). Who can forget Reshma's passionate anthem for unrequited love "Lambi Judai" from Hero (1983)? She sang in a few films thereafter. Nusrat Fateh Ali Khan took the country by storm in a bizarre manner- through an unabashed copy of his ecstatically spiritual "Dum Mast Qalandar Mast Mast" by Viju Shah in the form of "Tu Cheez Badi Hai Mast Mast" from Mohra (1994). Khayyam had first introduced Khan in Nakhuda 13 years earlier, in a qawwali, but it largely went unnoticed. Khan got the stature his genius deserved only in Mohra. He composed as well as sang for some films (Lata and Asha have also sung under his baton). Is the cross-border exchange one-sided? What is not well known is that Indian singers have also been hopping across the border to record in Lollywood (Lahore being the centre of Pakistani film industry). Armaan Malik and Shreya Ghoshal sang in Janaan (2016). Salim and Sulaiman were among the music directors. In fact, our artists have gone across right from the '50s and '60s, when the movement from the other side was non-existent. It dried up thereafter, but again picked up in the last two decades. 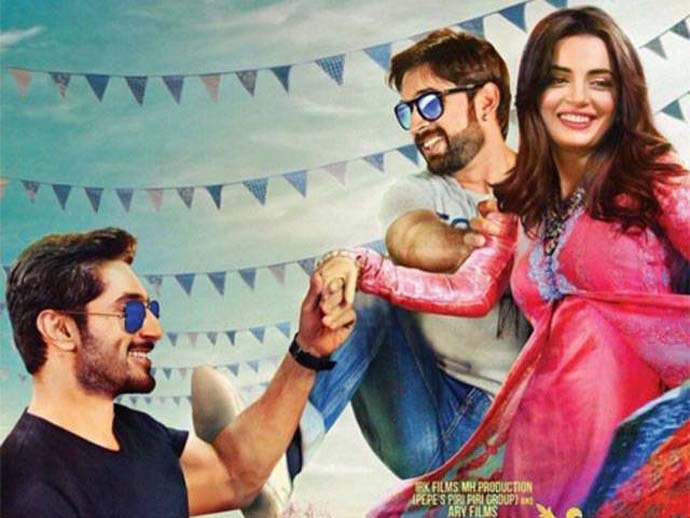 In sheer numbers, Pakistani singers in Bollywood presently outnumber the reciprocal traffic, but that is because of the numerical mismatch in the number of films made in the two countries with Bollywood far outnumbering Lollywood. It started with Indian playback singer Mubarak Begum. She sang four songs for Raaz in 1959 including a duet with Ahmed Rushdi and a club song Patli Kamar Mori Tirchhi Nazar. She sang one song for Bada Aadmi in 1957 (again a duet with Ahmed Rushdi). Talat Mehmood visited Pakistan and sang three songs for two Pakistani films, Ghanghor Ghata (1961) and Chiragh Jalta Raha (1962). The latter film was the launching pad of the legendary film actor Mohammad Ali. Talat also sang seven non-film songs including Khuda Woh Waqt Na Lae for which he was presented a shield by the Gramophone Company of Pakistan. There was a lull after that. In 1995, Asha Bhosle sung a duet (with Adnan Sami) called "Zara Dholki Bajao Gorio" in the Pakistani movie Sargam.Tere Pyar Mein, which was released in December 2000, had songs by Hema Sardesai, Kavita Krishnamurthy, Sonu Nigam and Jaspinder Narula. Interestingly, credits were not given to the singers to avoid controversy. Fictitious names were used. The same happened with Ghar Kab Aao Gay released that year. Yeh Dil Aapka Hua released in 2002 had songs sung by Kumar Sanu, Sonu Nigam and Kavita Krishnamurthy. It was the first film which openly credited the name of Indian singers. Koi Tujh Sa Kahaan (2005) had songs by Udit Narayan, Alka Yagnik, Shreya Ghoshal and Abhijeet (who ironically has condemned Bollywood filmmakers for working with Pakistani artists). Mohabbattan Sachiyan (2008) had Sonu Nigam, Shreya Ghoshal, Sunidhi Chauhan and Richa Sharma. In Khule Aasman Ke Neechay (2008), all the songs were by Indian singers (Sonu Nigam and Alka Yagnik) and acclaimed Indian poet Nida Fazli was the lyricist. In Mein Ek Din Laut Kay Aaoonga (2007), songs were sung by Asha Bhosle, Sunidhi Chauhan and Alka Yagnik. In Love Mein Ghum (2011), few songs were sung by Shreya Ghoshal, Shaan, Sunidhi Chauhan and Kailash Kher. In Main Hoon Shahid Afridi (2013) one song was by an Indian singer Neeti Wagh. In System (2014) nearly all songs were in the voices of Indian singers. The music director was Shailesh Suvarna, an Indian. In Bin Roye (2015), few of the film songs were in the voices of Indian singers like Rekha Bharadwaj, Ankit Tiwari and Harshdeep Kaur. Jawani Phir Nahi Ani (2015) had a song by Mika Singh. Armaan Malik and Shreya Ghoshal sang in Janaan (2016). Salim and Sulaiman were among the music directors. An average Pakistani's knowledge and love for Hindi film music knows no bounds. Qurat-ul-Ain Balouch was nominated for the Filmfare award for Best Playback Singer (Female) for "Kari Kari" (Pink). Hindi film songs are as integral to the aural landscape in Pakistan as they are in India. But it is not reciprocal. The Pakistani film songs that an average Indian has heard are those which are sung by visiting Pakistani playback artists. Even here the exposure is limited because the repertoire of most visiting artists (Mehdi Hassan, Ghulam Ali, Iqbal Bano, Farida Khanum, and others) is heavily tilted in favour of non-film songs. Out of his vast formidable chest of songs, Mehdi Hassan only sang a smattering of film songs like "Ranjish Hi Sahi", "Rafta Rafta", "Pyar Bhare Do Sharmiley Nain", "Mujhe Tum Nazar Se Gira To Rahe Ho", "Ab Ke Hum Bichhde", and few others. Even these film songs he "ghazalised" - slowed the tempo, added stanzas, introduced embellishments, changed the melody "Ab Ke Hum Bichhde". The golden period of film songs of the '50s and '60s existed on both sides of the divide but an average Indian is oblivious of it. I have heard Pakistani film songs since I was young and the joy of listening to Mehdi Hassan, Ahmed Rushdi, Mujeeb Alam, Masood Rana, Noor Jahan, Mala, and others is no less than listening to our own. Talent lies on both sides of the border and cross-pollination can only enrich our shared heritage.